When we remember the history of India and how she got its freedom from the British rule, we are often reminded with the names of Mahatma Gandhi, Bhagat Singh and many more. But amidst these was also Sarojini Naidu, a freedom fighter and also a poet of modern India. Born in a Bengali Hindu family at Hyderabad, she received her education in Chennai, London and Cambridge. Later on she married to Dr. Govindarajulu Naidu and settled in her home town where she took part in the National Movement and followed Gandhiji to achieve Swaraj. Being a celebrated poet that she was, she was referred as, ‘Nightingale of India’, where her poems were all about children, nature, patriotism and love and death. Born to parents Aghore Nath Chattopadhyay and Barada Sundari Devi, in her parental home in Bikrampur, the place is known to lie in present day Bangladesh. Her father, Aghore Nath Chattopadhyay, a doctorate of Science from Edinburgh University, founded and administered the Hyderabad College, which was later on called as the Nizam’s College. Receiving her scholarship at the young age of 16 from the Nizam of Hyderabad, Sarojini Naidu went to King’s College in London and moved to Girton College in Cambridge for further studies. Whilst her stay in England, Nobel Laureate Arthur Simon and Edmond Gausse convinced her to stick to Indian themes for writing poetries. Taking up this advice, she showcased Indian contemporary life and events in her poetry. Married at the young age of 19 to Dr.Govindarajulu, they had 5 children, out of which Padmaja, her daughter, became the Governor of West Bengal and also participated in the Quit India Movement. Serving as the governor of United Provinces of Agra and Oudh from 1947 to 1949, Sarojini Naidu became the first woman governor in the history of India. In the year 1925 when she took over the presidency of Indian National Congress at Cawnpore, which is the present day Kanpur and went on to presided on the East African Indian Congress in South Africa. Highlighting her political career, Sarojini Naidu was a part of the Indian National Movement during the partition of Bengal in 1905. She also took active participation during 1915-1918, travelling to multiple places across the nation spreading welfare and more. She also established the Women’s Indian Association (WIA) in 1917. Being a participant of the salt satyagraha in the year 1930 she went on to later participate at Round Table Conference with Mahatma Gandhi and Madan Mohan Malaviya in 1931. There are several institutions named after her, a few of them are Sarojini Naidu College for Women, Sarojini Naidu Medical College, Sarojini Devi Eye Hospital and Sarojini Naidu School of Arts and Communication, University of Hyderabad. Her mother being a Bengali poet, Sarojini stepped in to the field of literature very early in her life. Impressing the Nawab of Hyderabad, she wrote her first piece as a play titled, ‘Maher Muneer’. She also released a collection of poems in 1905. Being an exemplary figure in Indian literature, a few of her works are Damayanti to Nala in the Hour of Exile, Ecstasy, In The Bazaars of Hyderabad, The Queen’s Rival, The Royal Tombs of Golconda, The Snake-Charmer and more. Her other renowned literary works include The Golden Threshold, The Bird of Time: Songs of Life, Death & the Spring, The Broken Wing: Songs of Love, Death and the Spring, The Feather of the Dawn and more. 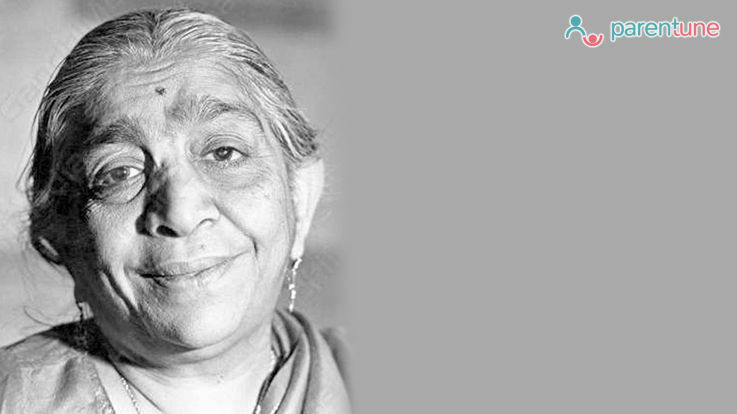 Regarded as one of the best personalities in India, Sarojini Naidu is truly still the Nightingale of India. These are the various facts that you and your child can learn about her. How can I understand my son nature?as i notice boy..
My son always want to play and TV not being seriou..
My child is 8yrs. she is good in academics. Her te..